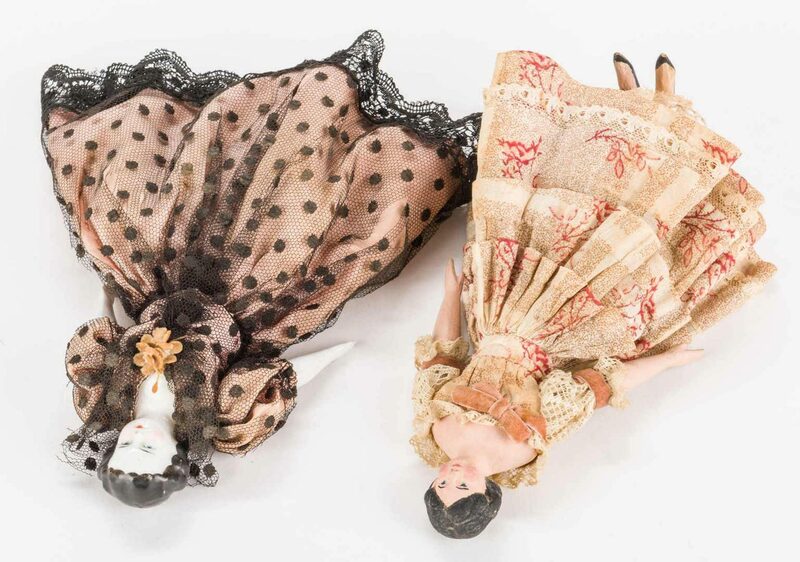 Two (2) early dolls. 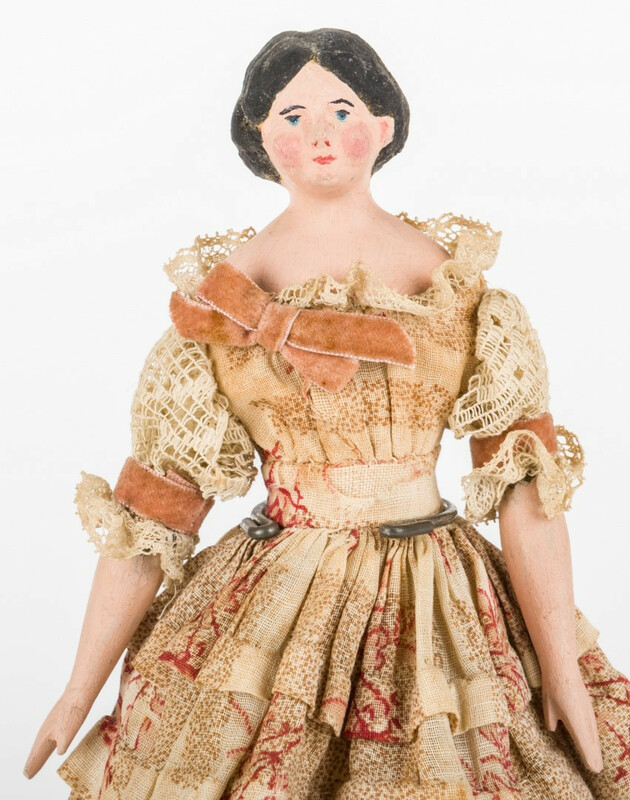 1st item: Small papier mache doll, possibly a dressmaker's model, the brunette painted head with center part and sausage curls, blue painted eyes and painted features. 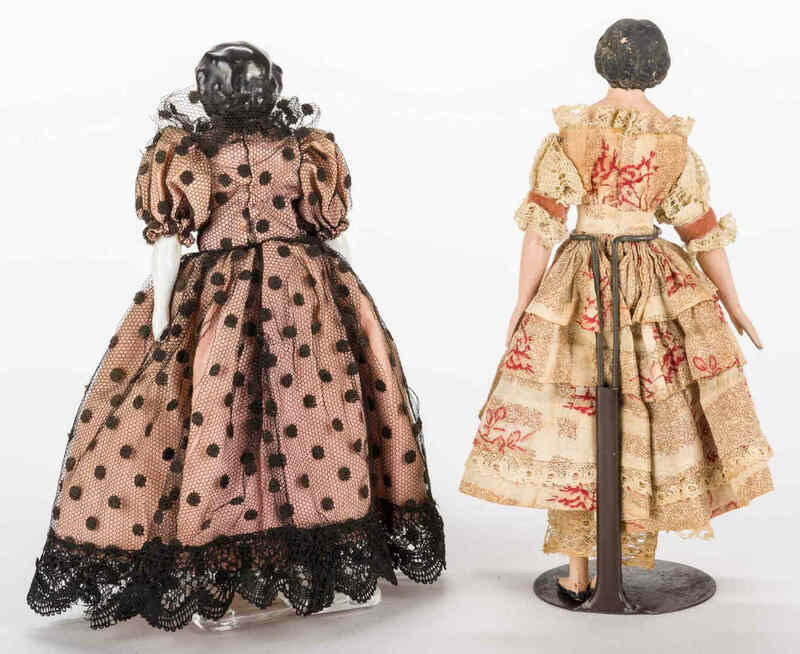 Kid leather body and papier mache limbs; early handmade cotton clothes in the 1850s-60s style and painted shoes. 9 3/8" H. Possibly European, second half 19th century. 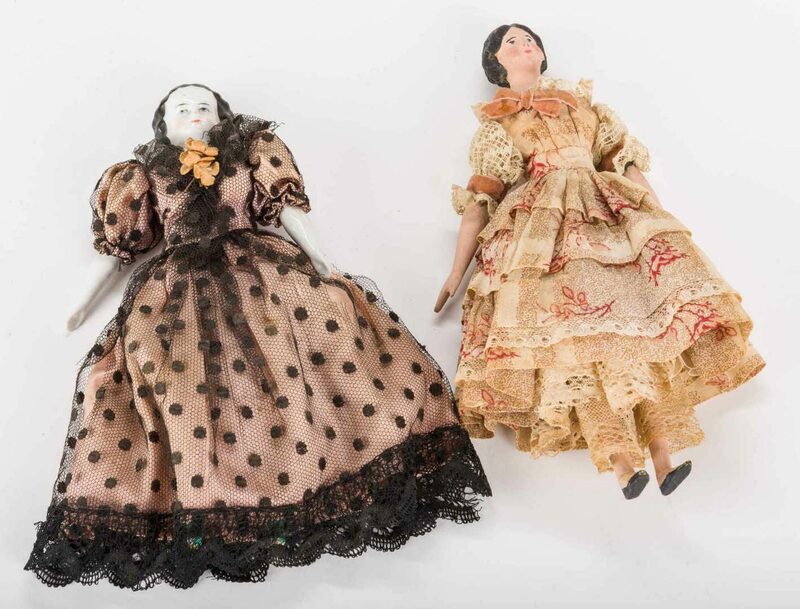 2nd item: Small china doll with glazed porcelain head having blue painted eyes and black molded curls, glazed porcelain lower limbs, green painted shoes, later pink taffeta dress with black polka dot lace trim. 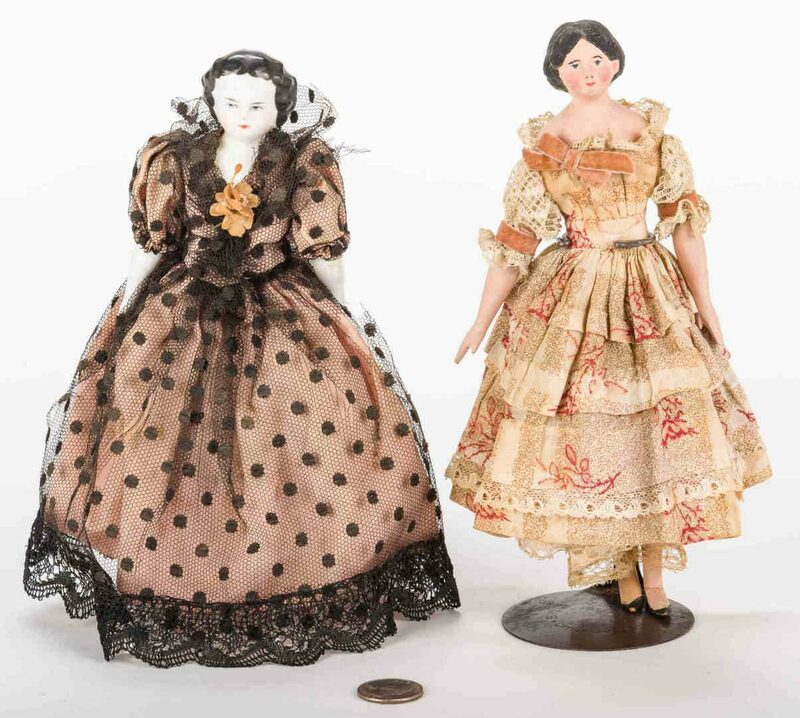 8 1/2" L. Late 19th/early 20th century. 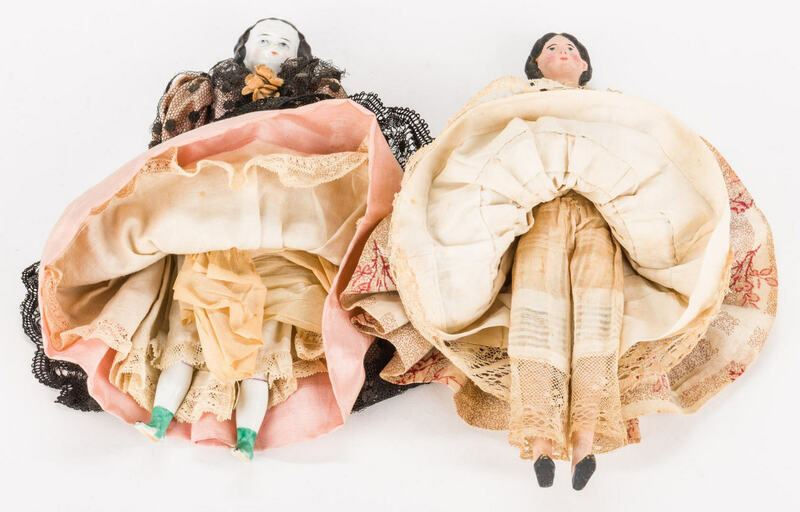 CONDITION: 1st item: Feet broken and repaired, clothes faded. Head and neck in overall very good condition. 2nd item: Some tiny dark specks to face, minute abrasion to nose, small abrasions to back of head.